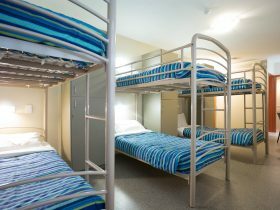 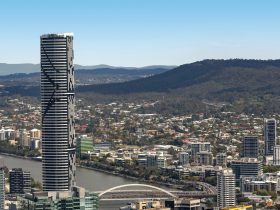 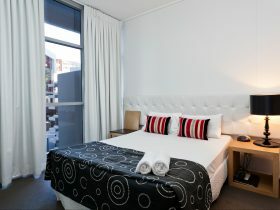 For stylish hotel accommodation in the very heart of Brisbane, look no further than The Sebel Brisbane. 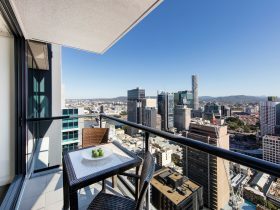 Located on the corner of Charlotte and Albert Streets in Brisbane’s central business district and only steps from the Queen Street Mall’s shopping and entertainment precinct, The Sebel Brisbane offers guests 134 newly refurbished studio and one and two bedroom apartments with spectacular views over Brisbane’s glittering skyline. 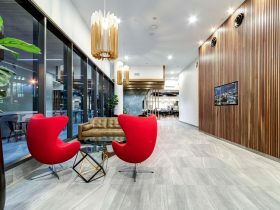 Each apartment is stylishly decorated with a spacious lounge room, fully equipped kitchen, laundry facilities, large private balconies and in-house movies – perfect for the corporate traveller, a couple’s weekend away or family vacation. 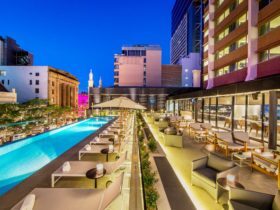 Guests also have exclusive access to the hotel’s 24-hour reception, in-room dining service and relaxing recreation deck; fully equipped with lap pool, gymnasium and sauna.